Your submission (including text and photographs) must be legal, decent, honest and truthful. As this is a free site we reserve the right to remove submissions that we feel are inappropriate for any reason. By filling in the form and clicking the "Submit Information" button, you are requesting that your submission appears on this web site. This means that the information and photos you supply can be viewed by anyone with internet access. By clicking the "Submit Information" button you are consenting to the publication of your data on the internet. 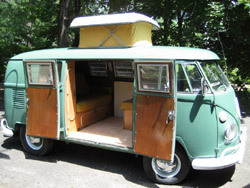 The copyright of all submissions (including text and photographs) shall be owned by VWBusGallery.com and by clicking the "Submit Information" button you assign all such copyright to VWBusGallery.com. Please do not submit photos from other websites as they may be subject to copyright. Please submit only photos that you have taken yourself or that you have permission from the original photographer to publish on the internet. If you need your listing amending or removing you can contact us with the information of what is required and we will endeavour to make the necessary updates as soon as possible. As this is a free site we do not give any guarantees on how quickly these updates will be made. 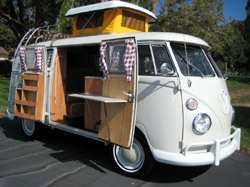 VWBusGallery.com does not under any circumstances accept responsibility for the accuracy or otherwise of any information published on this site, nor is any kind of warranty expressed or implied by such publication. VWBusGallery.com specifically disclaims all and any liability to advertisers, readers and users of any kind for loss or damage of any nature whatsoever and however arising, whether due to inaccuracy, error, omission or any other cause, and whether on the part of VWBusGallery.com, their servants or agents or any other person. 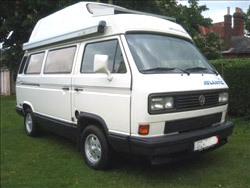 As this is a free information site VWBusGallery.com does not guarantee that your listing will be displayed continuously or free of faults. In addition, we will need to carry out maintenance and updates to the web site occasionally and this may involve the site (and hence your listing) not being available. We will of course try to keep these interruptions to a minimum. 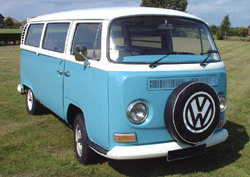 All the images, content and intellectual property of this web site remain copyright of VWBusGallery.com © 2006 - .